After nine months of after-hours work, I released Plethora for iPhone in June 2010. Plethora is a design gallery that is powered by over 90 of the world’s top design blogs. All of the posts are manually curated by our team so that only the best designs make it through to the actual app. I have been running design and other companies for nine years but Plethora was my first iPhone app so I probably approached the project quite differently to how most iPhone development houses would have. Here’s how we did it. 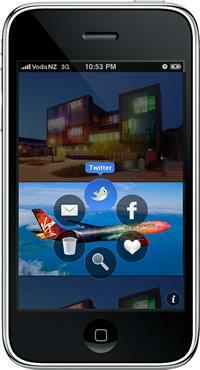 The concept and why we went with an iPhone app not just a mobile site. The design and how the hub menu gave us so much more usable screen space. The development and a summary of the various back-end API’s. The business, why we decided to make the app free and how we’ll make money.